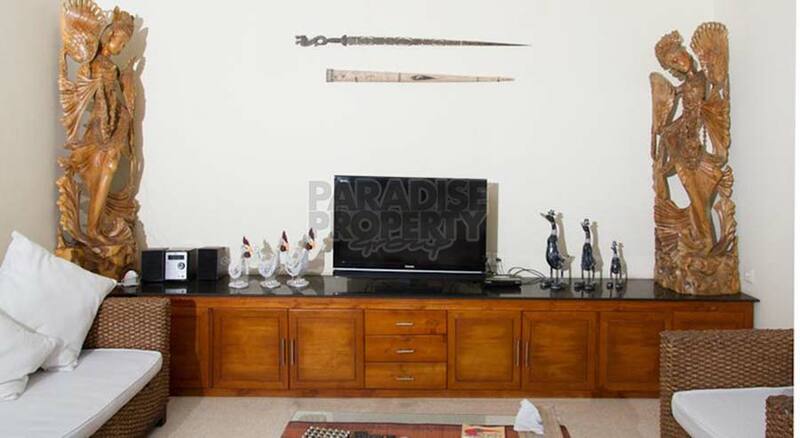 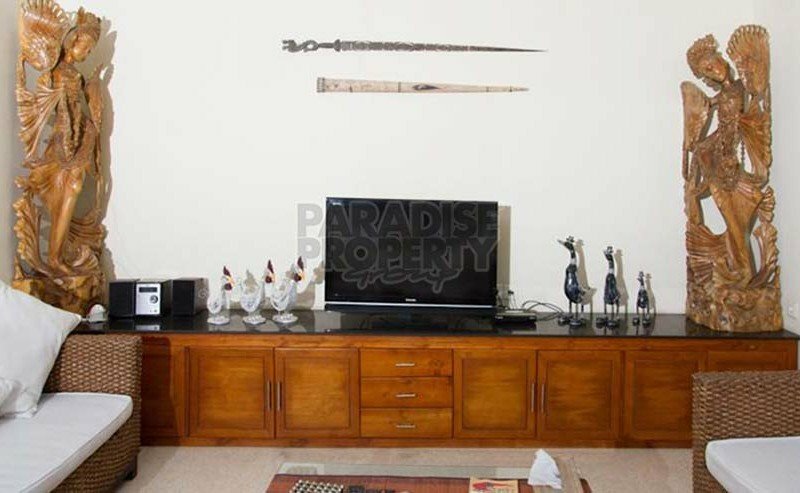 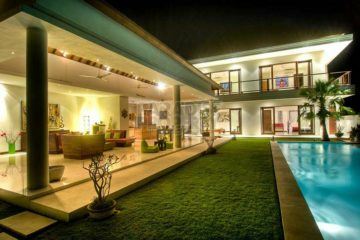 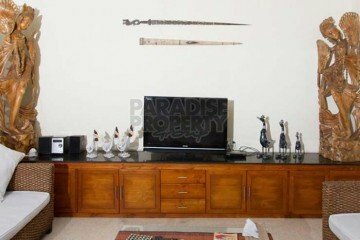 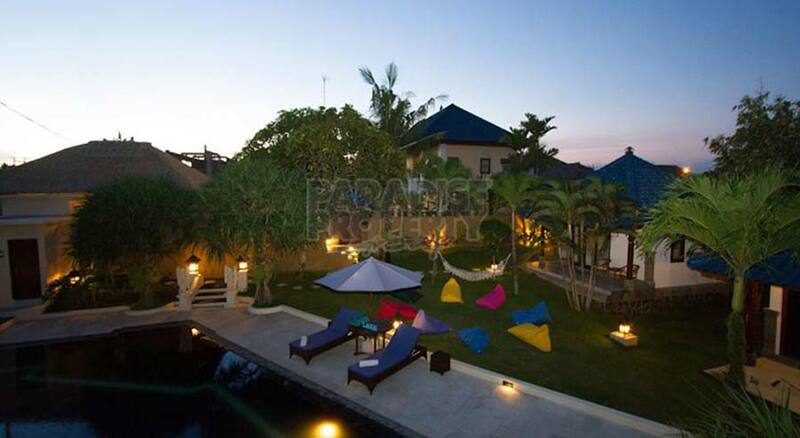 This well maintained, spacious 7 bedroom villa complex, sits on a land size of 1720m2 (17.2 are). 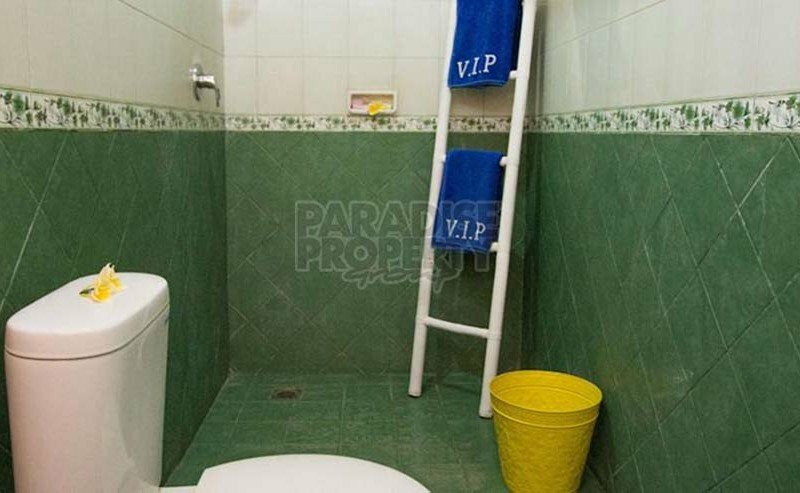 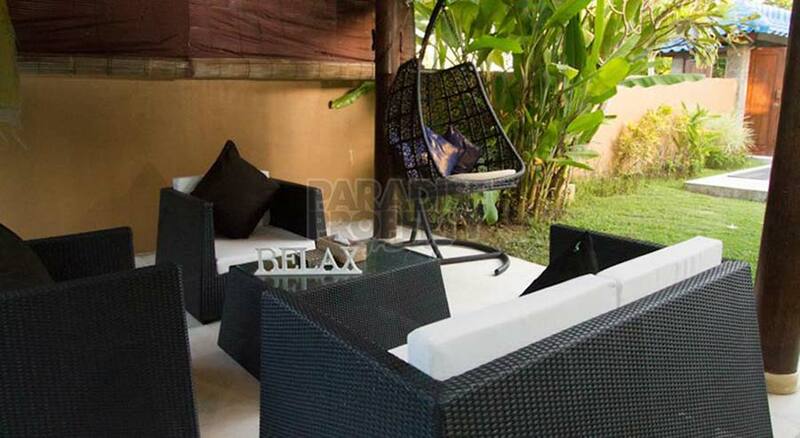 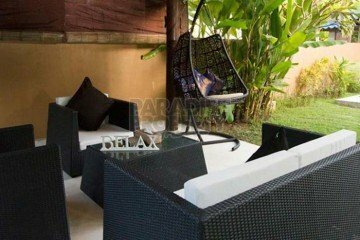 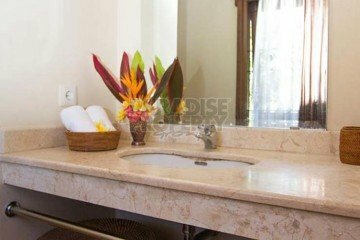 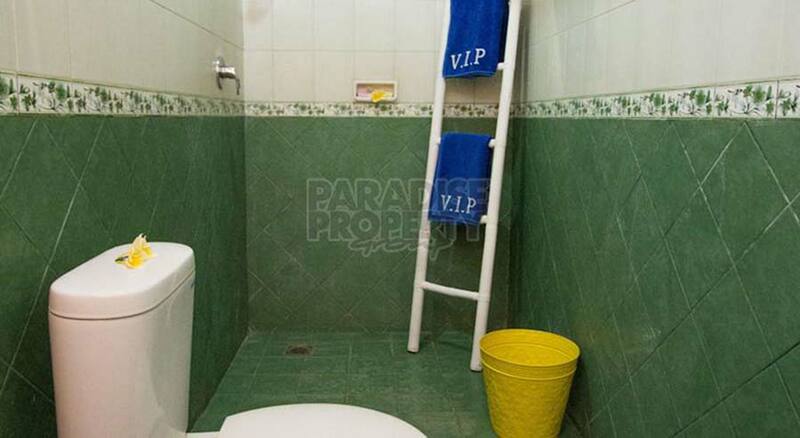 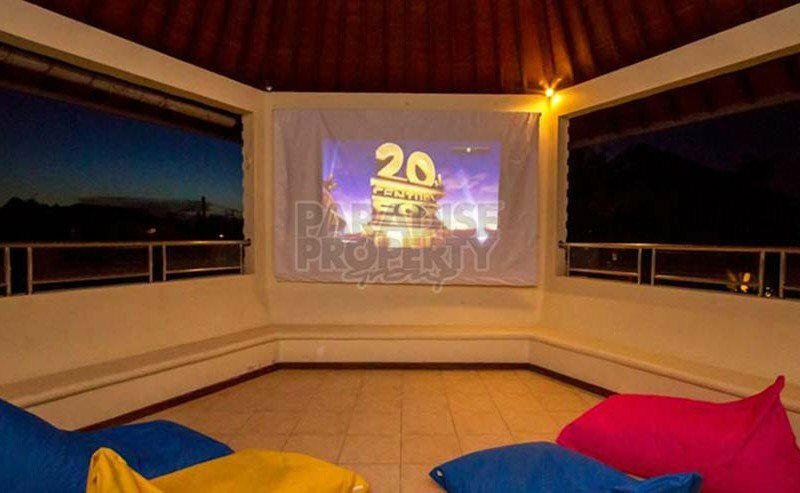 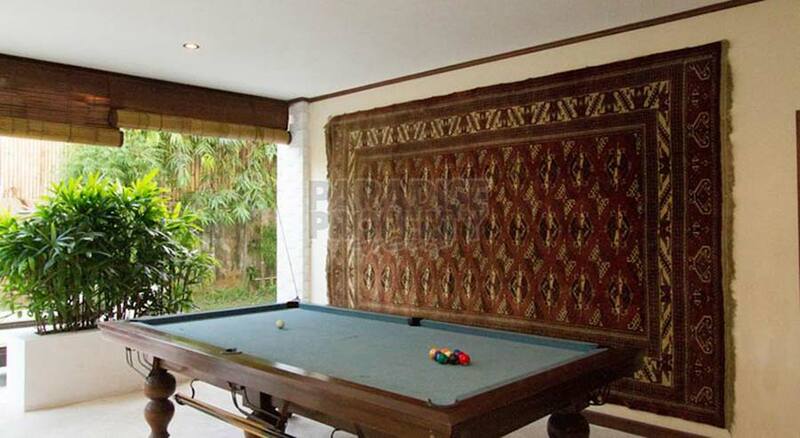 This property has tropical surroundings and is located in the quiet village of Pererenan. 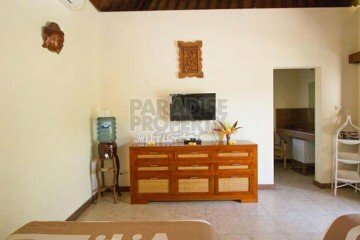 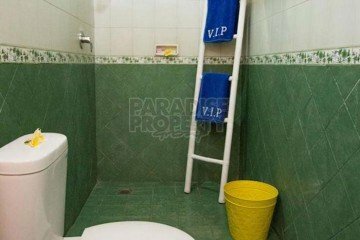 The property is running well as a small hotel, popular with surfers. 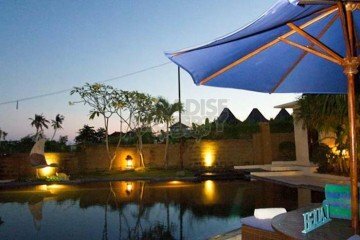 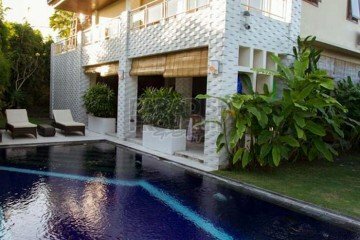 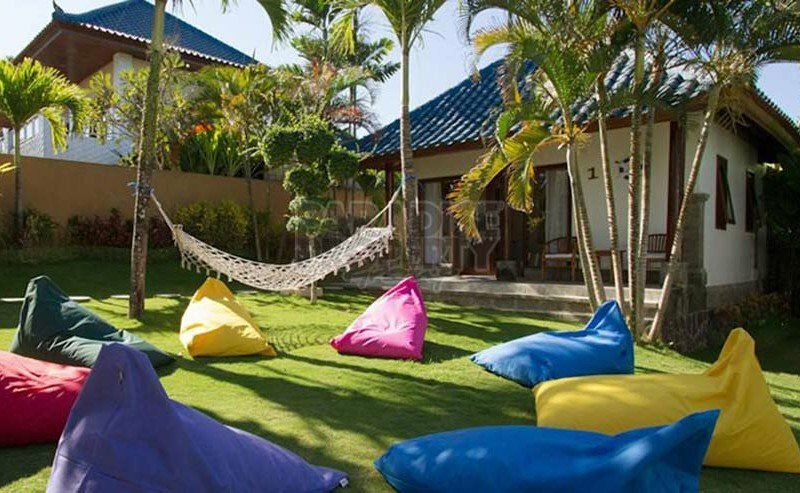 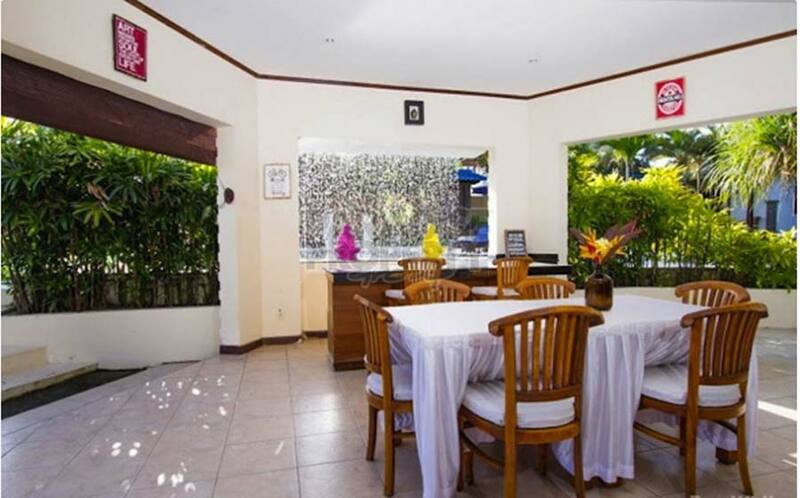 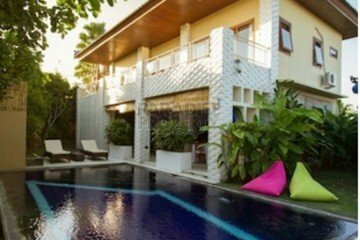 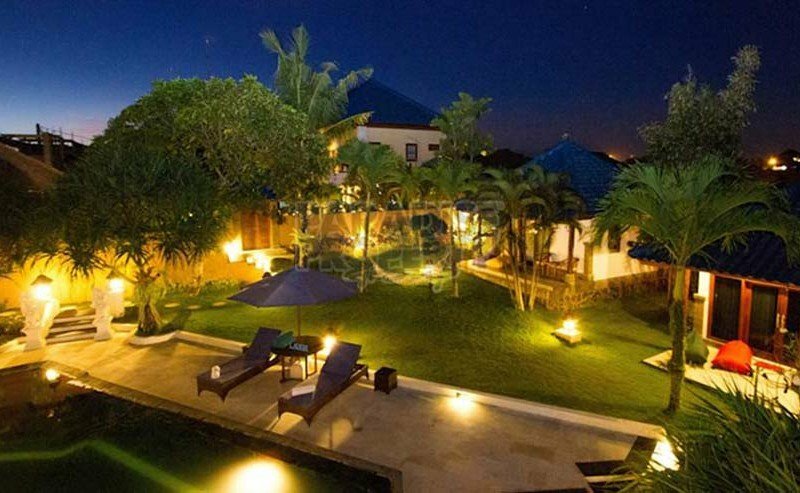 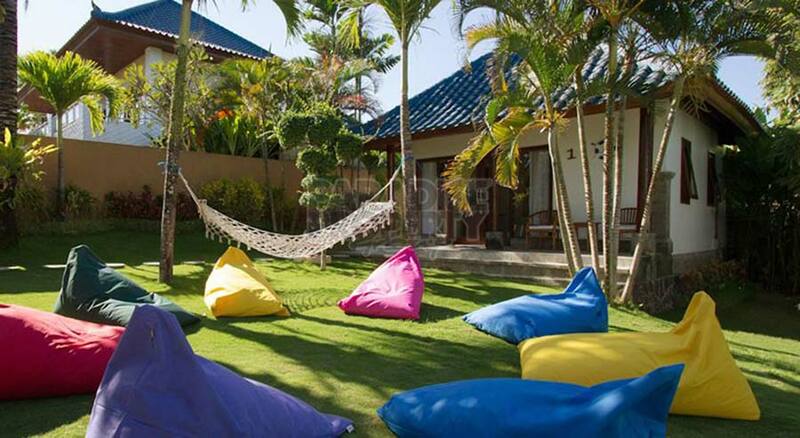 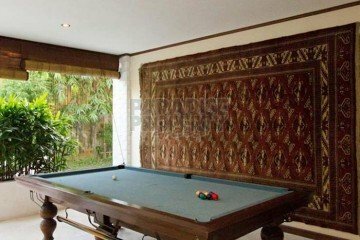 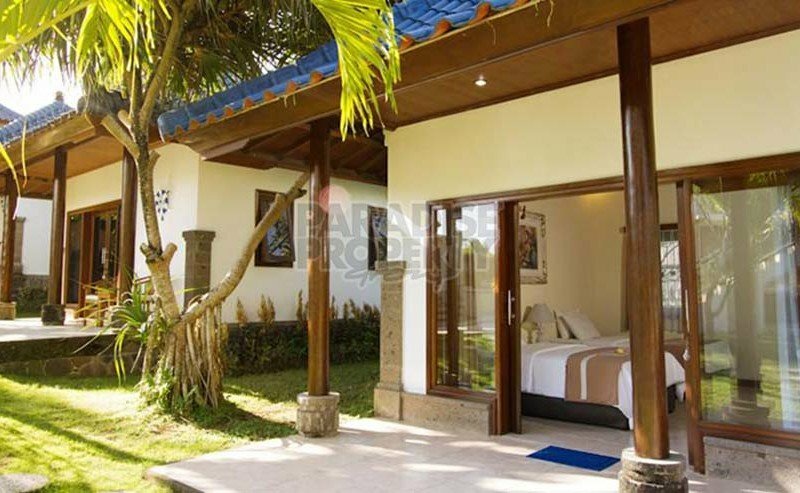 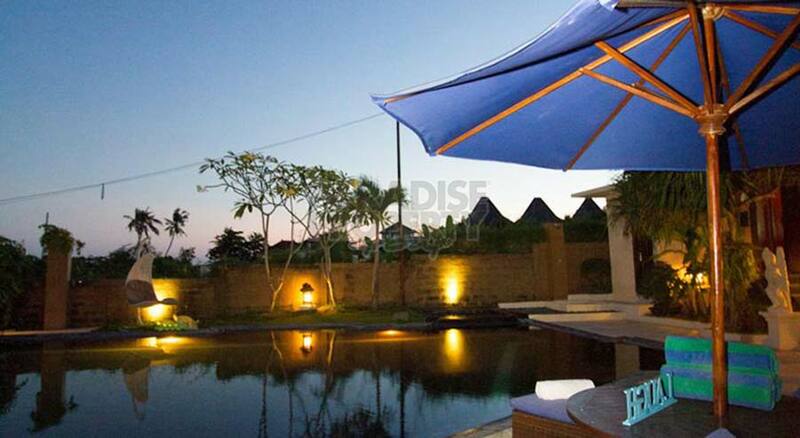 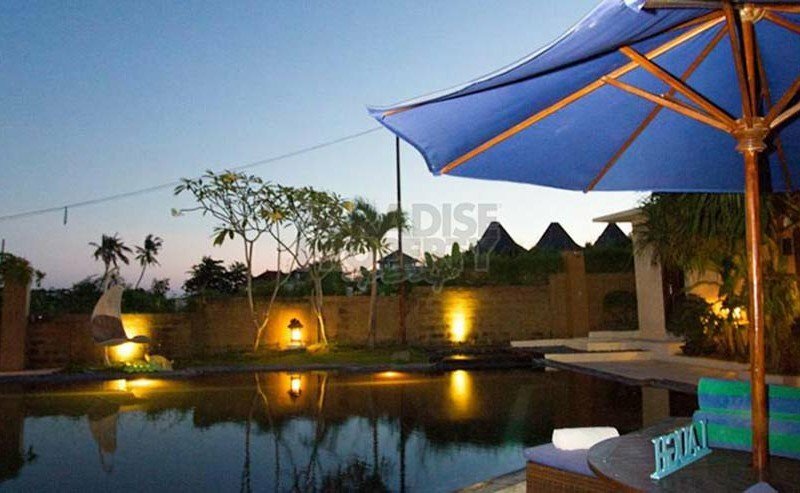 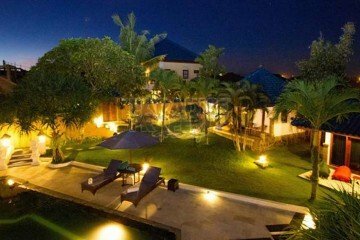 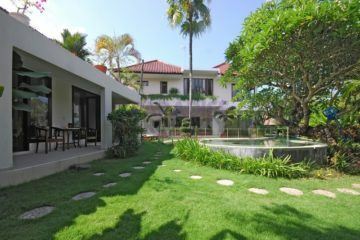 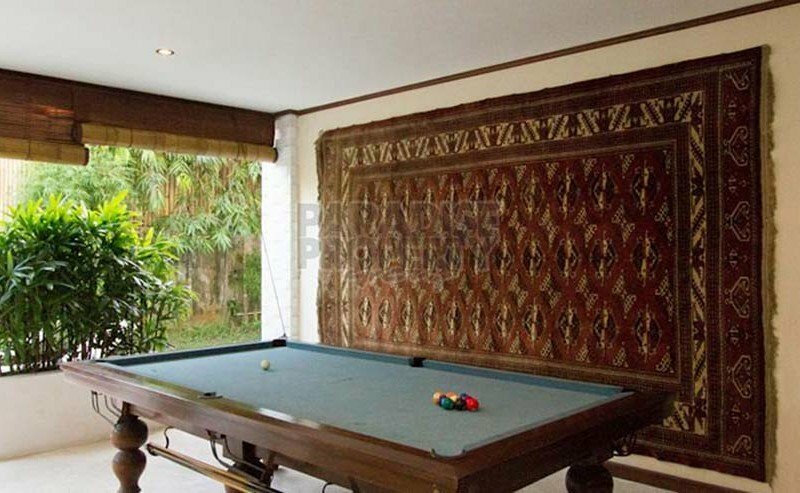 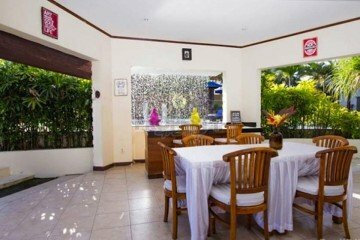 This property is ideally located within a 7 minute walk from Pererenan beach and approximately 15 minutes from the famous Echo beach, Canggu on the west coast of Bali. 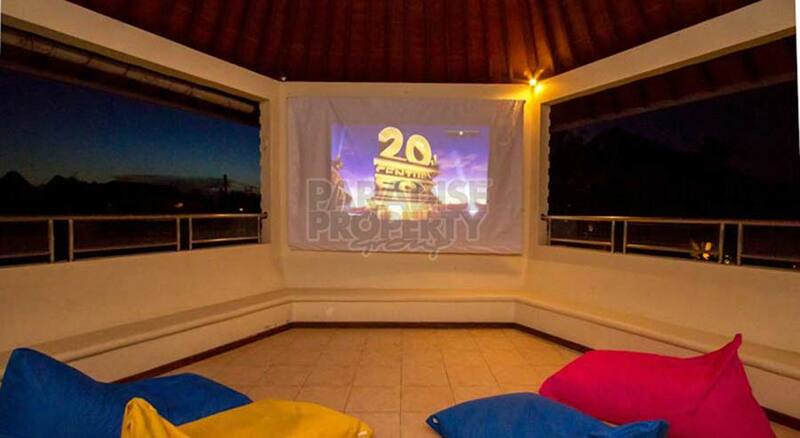 Life in Pererenan is quiet, slow paced and devoid of the disturbances of urban areas. The waves of Pererenan beach are particularly popular amongst surfers who visit Bali, and it is deemed as one of the must-ride surf beaches on the island. 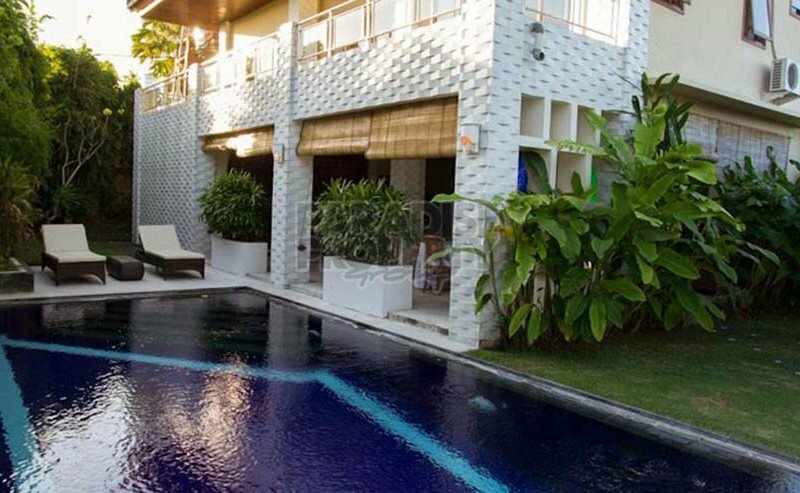 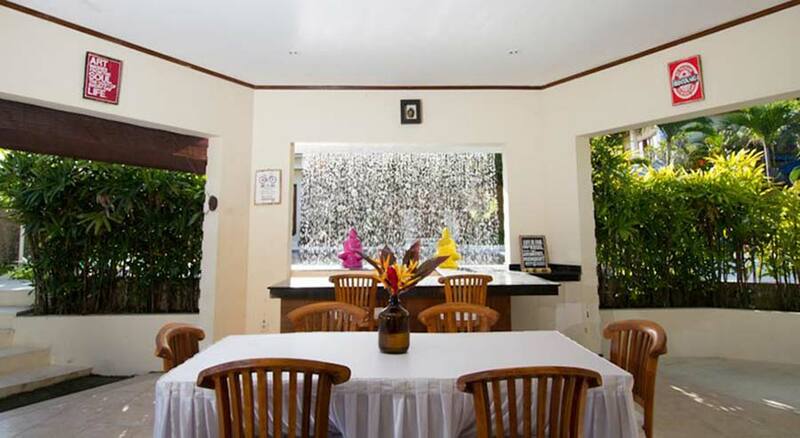 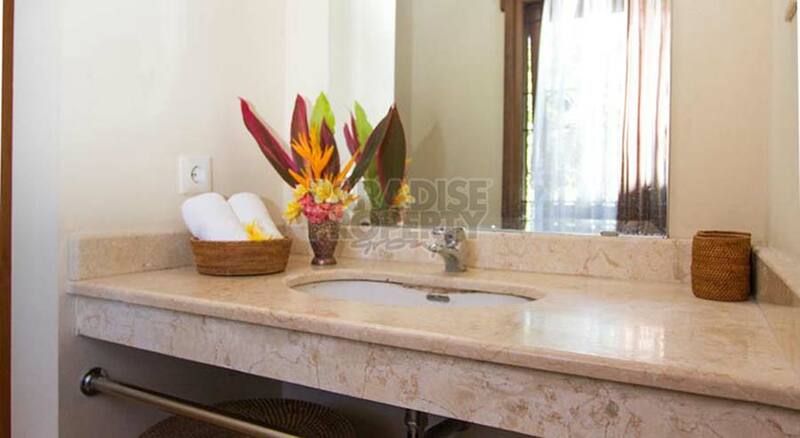 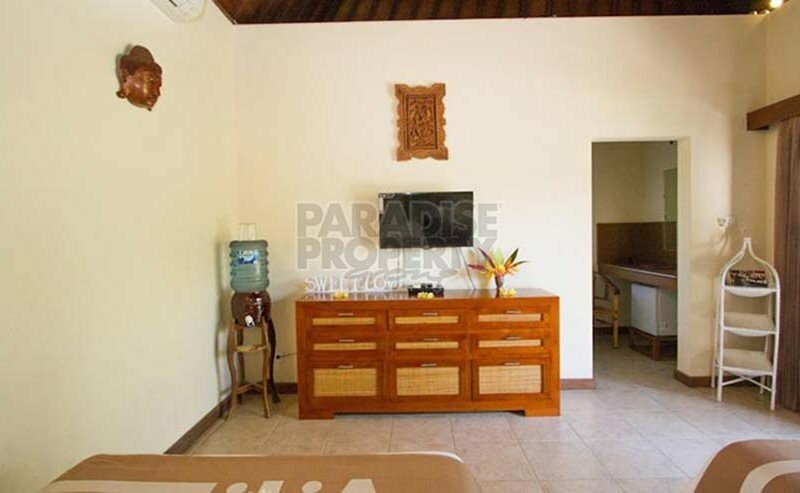 The villa complex consists of 4 bungalows with a shared pool area and 1 private villa with 3 bedrooms. 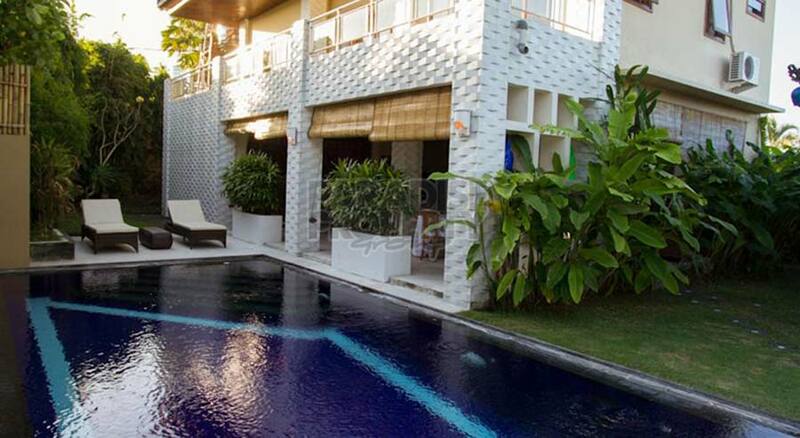 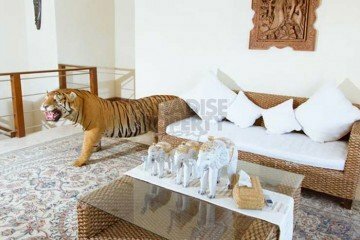 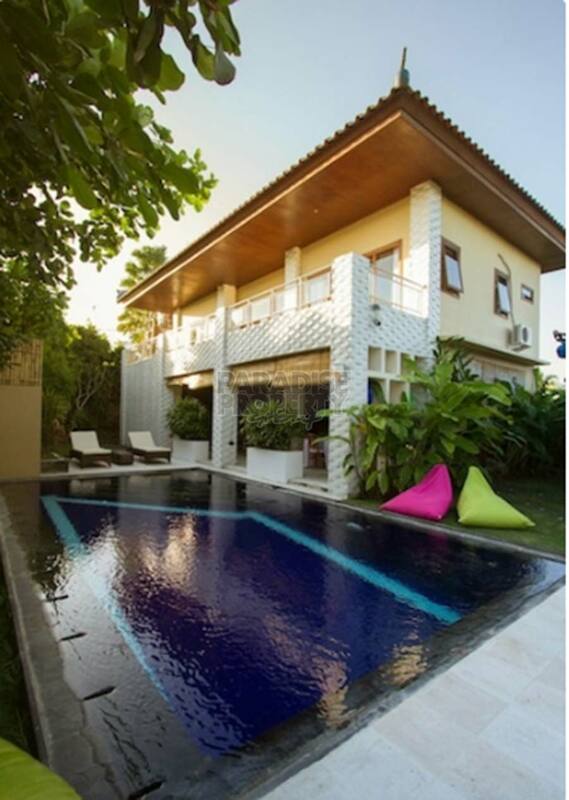 The three-bedroom villa lies separate and enjoys its own private pool. 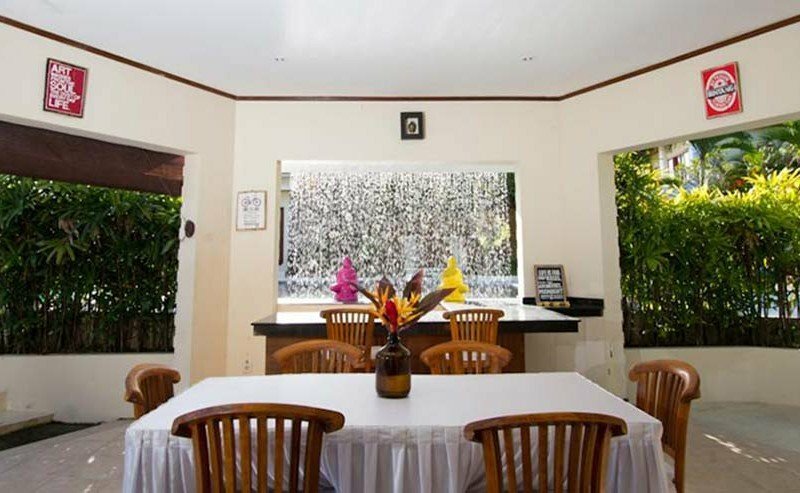 Each lodging is available for rent all year long and both long and short term packages can be booked. 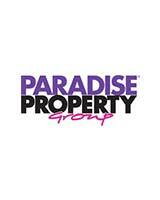 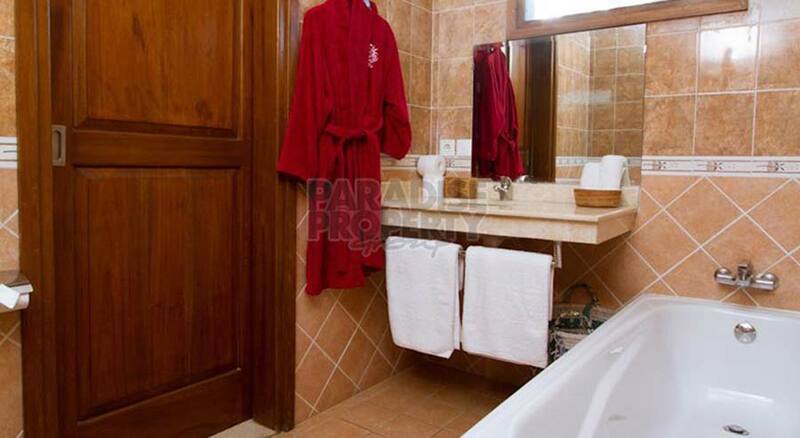 We will cater for your every need and ensure that you will feel right at home. 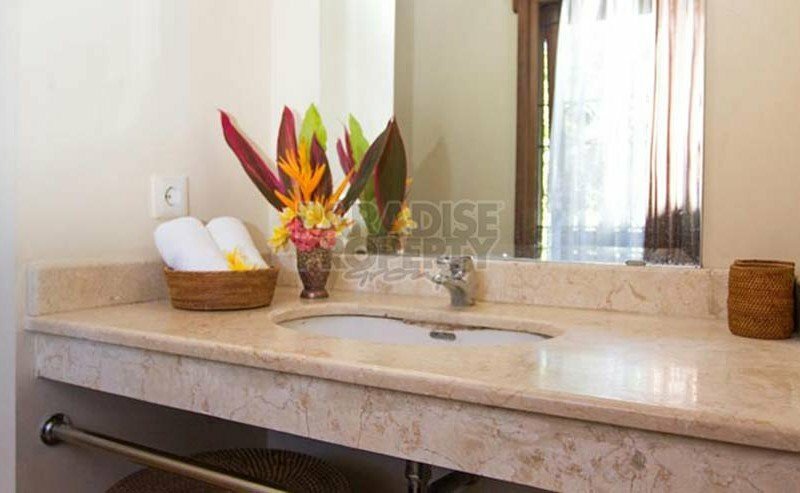 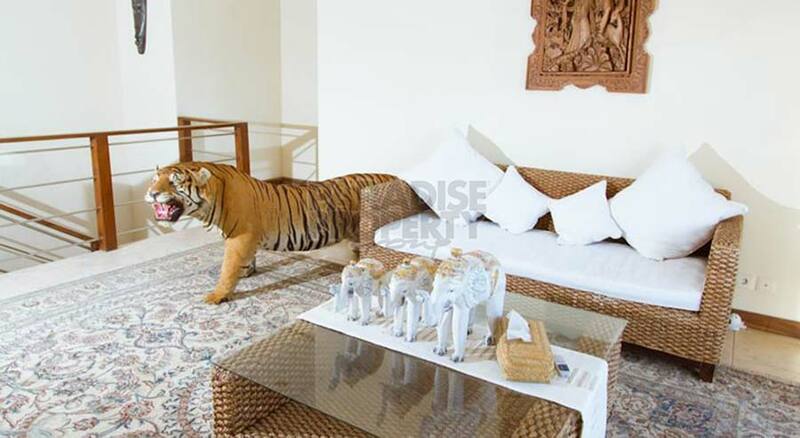 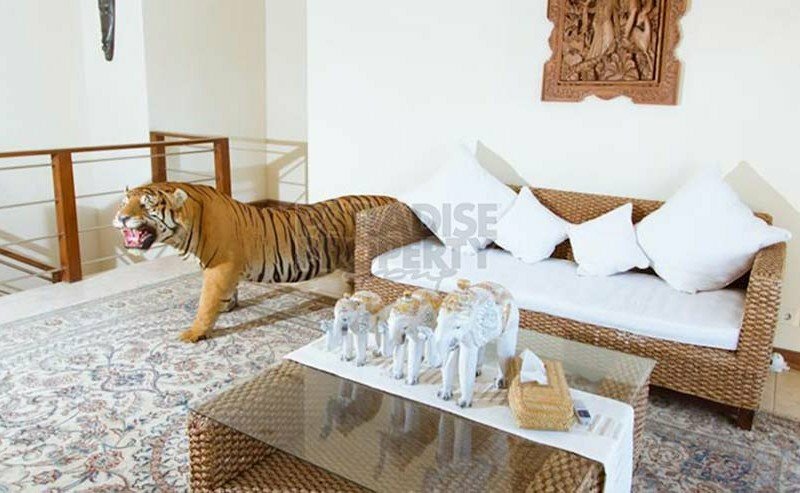 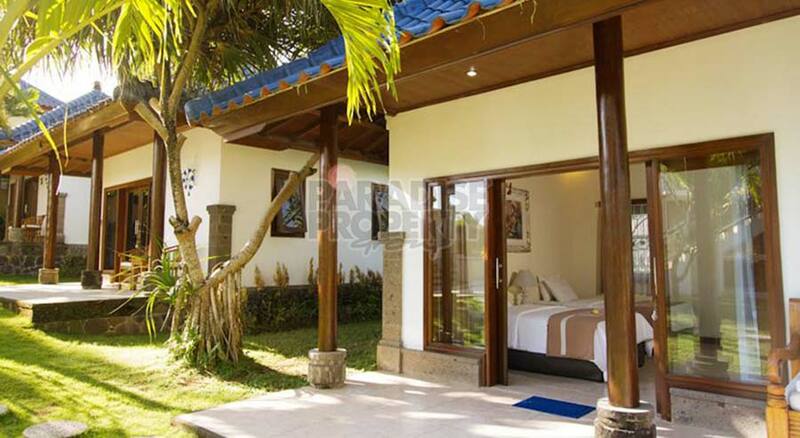 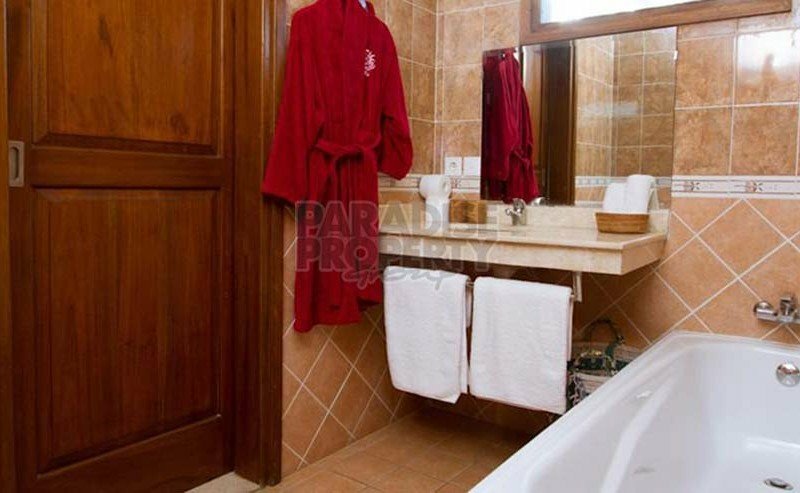 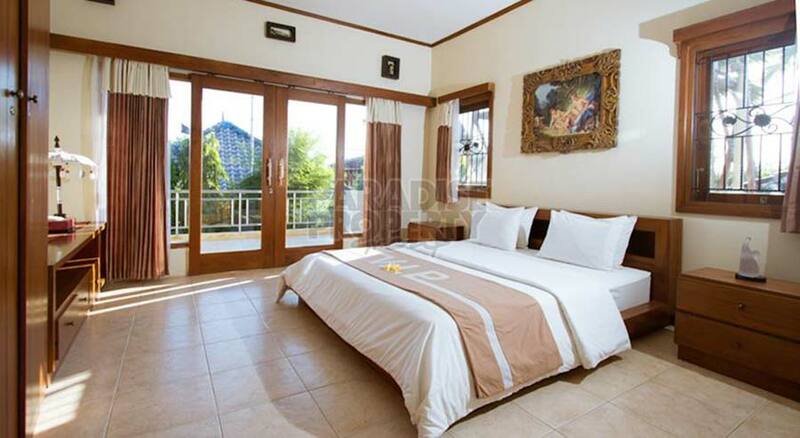 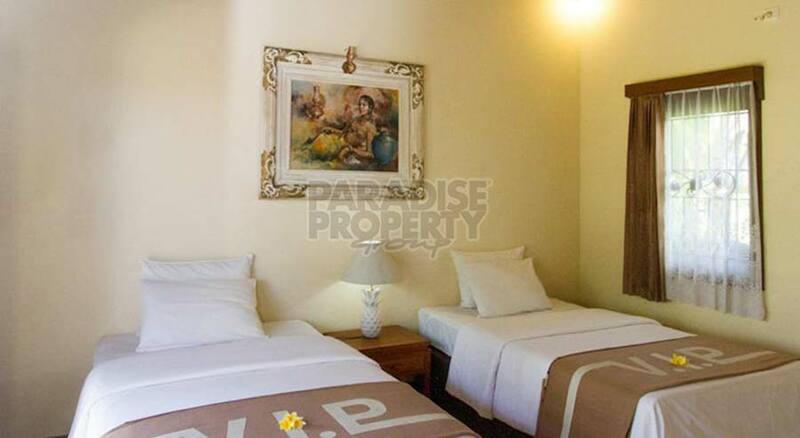 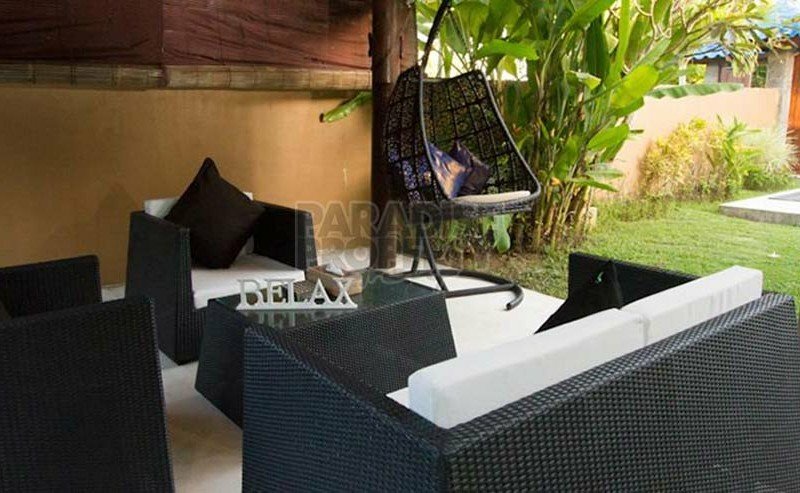 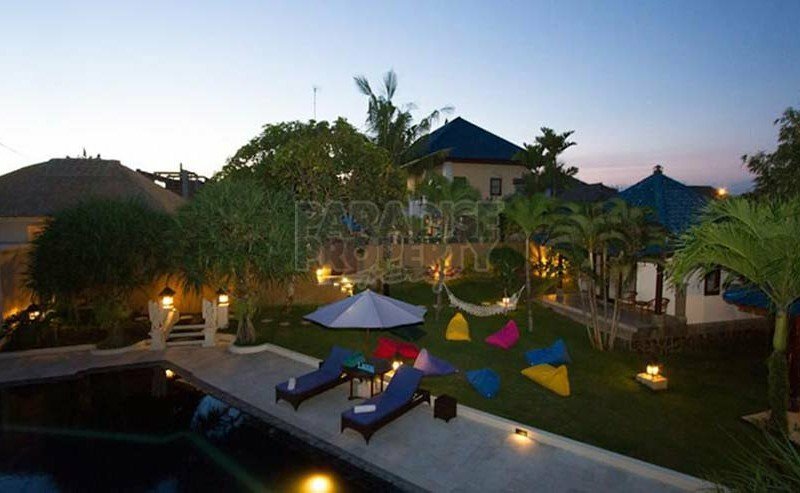 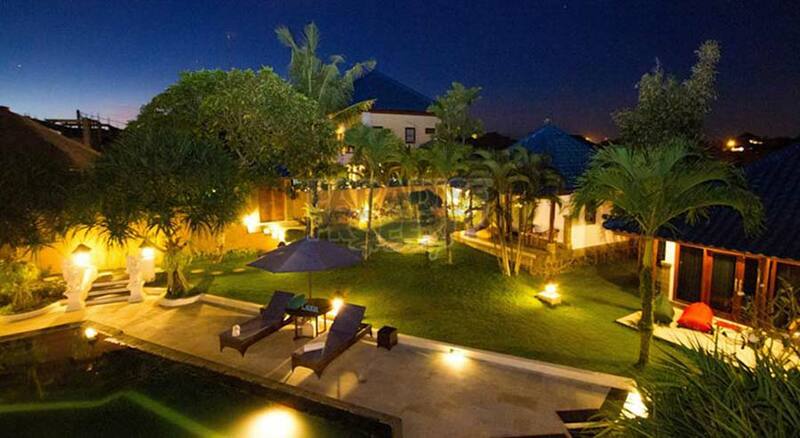 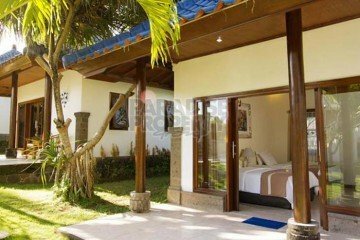 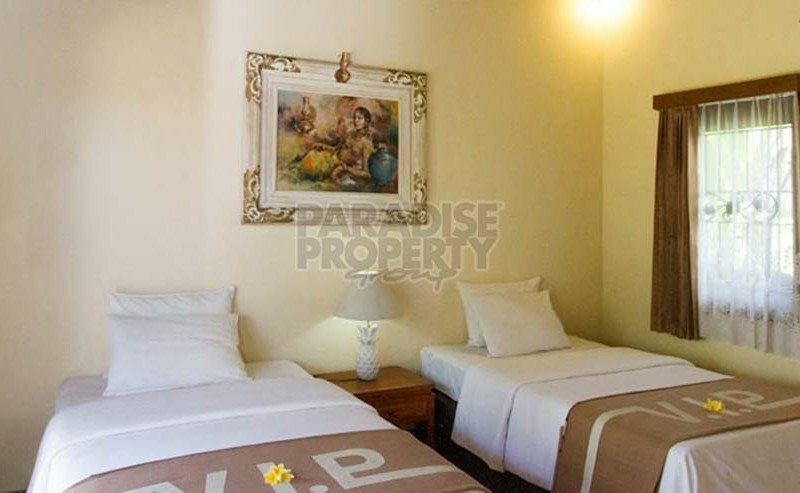 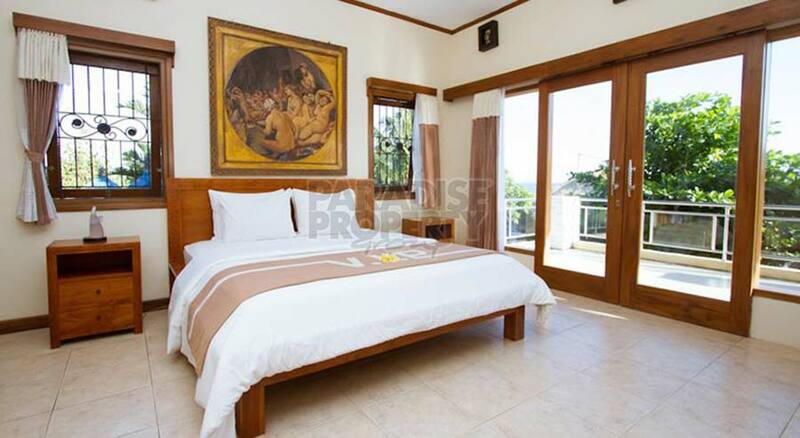 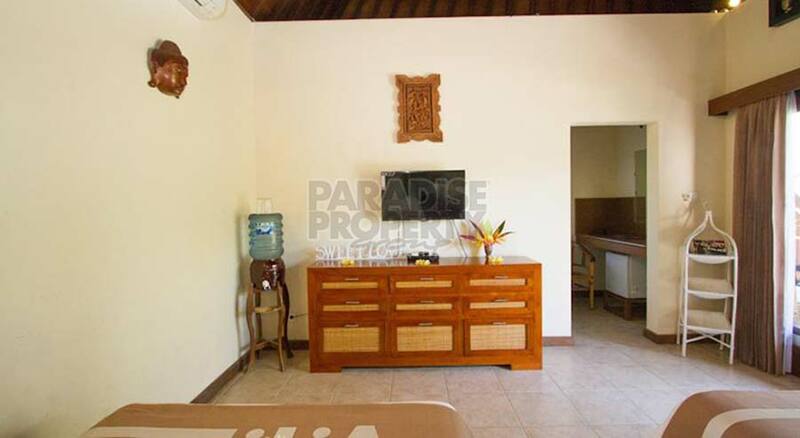 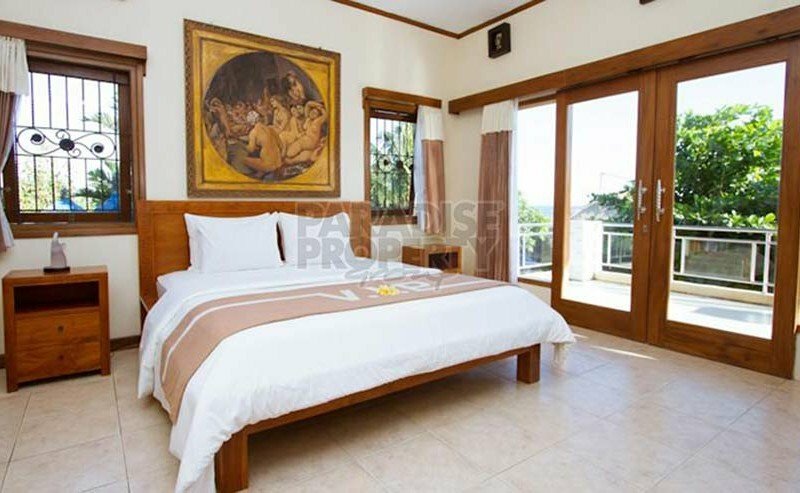 The large private villa is made up of 2 double bedrooms and 1 twin bedroom on 2 floors.